Sampling twenty-four of the most scenic and least physically challenging trails within the park, this guide features spectacular hikes accessible by paved road, and none is difficult to find. 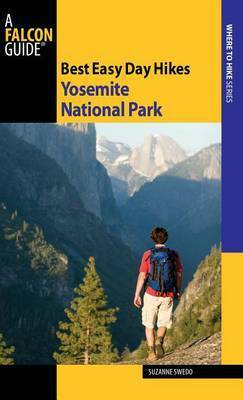 This indispensable guide provides accurate hike descriptions, easy-to-follow maps, and concise trail information for the author's favorite trails. With hikes varying from half-hour strolls to full-day adventures, it has something for everyone. Suzanne Swedo, director of W.I.L.D., teaches wilderness survival and natural sciences at universities, museums, and organizations such as Yosemite Association and the Sierra Club. She has backpacked the mountains of every continent and led groups into the wilderness for over twenty-five years. Her books include Wilderness Survival, Hiking California's Golden Trout Wilderness, Hiking Yosemite National Park, and Adventure Travel Tips (Falcon).